Duality is a funny 3d street created by German artist Edgar Mueller in Moscow, Russia. It is another waterfall optical illusion in which waterfall on a concrete. Artist makes on a huge scale three-dimensional artwork using an uncommon canvas. 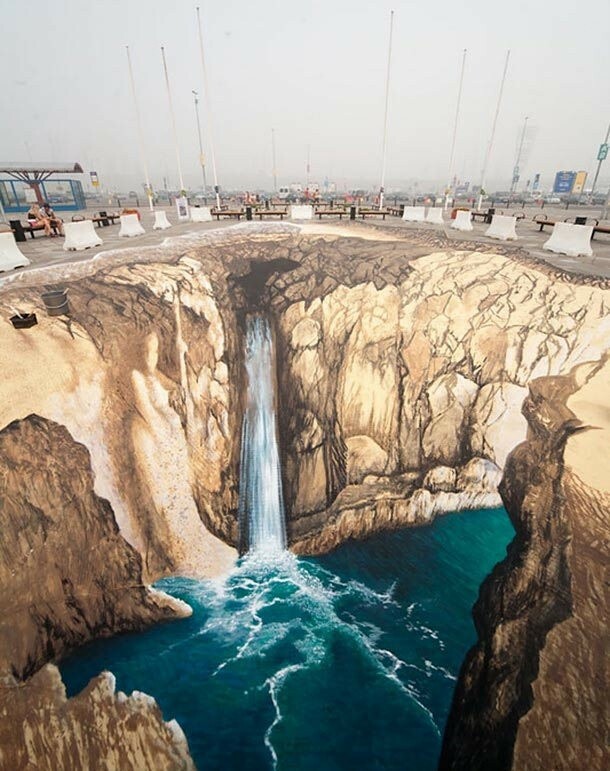 His works are painted on usual segments of walkways.